The purpose of Fellowship is to provide the highest level of achievement for members in accordance with the AACD's mission of education and excellence. Additionally, to provide a means for the Accreditation/Fellowship Committee to evaluate the continuation of clinical excellence and commitment to cosmetic dentistry by its Accredited members. Only Accredited members are eligible and may apply for Fellowship. Accredited members may send their required digital images to the AACD Executive Office for examination only after fulfilling all other requirements. When cases are received by the executive office, any name will be removed and a number will be assigned. This will ensure that the applicant's identity remains anonymous throughout the exam. The AACD is not responsible for damage done to digital images or hard drives during shipping. Fellowship submissions will not be accepted for examination between December 1st of each year and the annual scientific session. You will receive written notifications that your application has been received, processed, and you will need to schedule a time for your exam. Slots are limited and fill up quickly. Fellowship application must be completed and submitted with fee to the Executive Office to hold a submission date. Cancellation or rescheduling an assigned date is a forfeiture of your application and fees. Clinical requirements: 50 cases for dentists or 30 cases for laboratory technicians must be submitted to the executive office. Each case must be of a different patient. 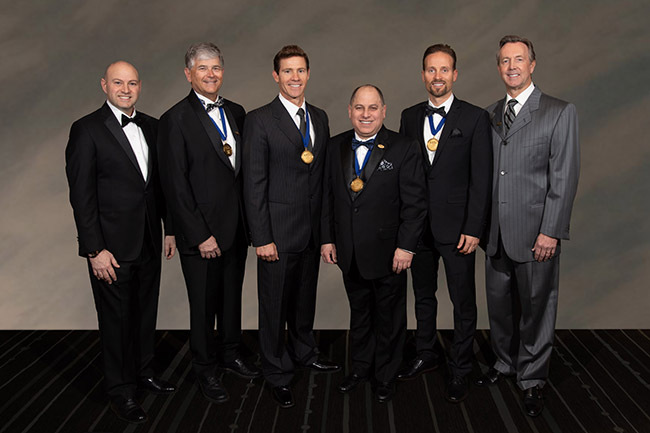 Fellowship Mentors are Fellowship Examiners who can assist you on your journey to becoming an Accredited Fellow Member in the American Academy of Cosmetic Dentistry. Contact Kim Hollenbeck at the AACD to arrange for a mentor or make direct contact on your own. Fellowship mentors should be calibrated Fellowship examiners. We ask that you work with only one mentor as we have a limited number of examiners and anyone that evaluates your cases will not be available to examine your submissions. As Accredited members, your photography should be exemplary. Proper magnification, exposure, and angulation are mandatory for successful evaluation and subsequent submission. Provide all four views to your mentor. Use the AACD PowerPoint template found on the AACD website to send cases for evaluation. The photos should fill the template. Compress the photos for e-mail transmission. Fellowship mentoring is about gaining a feel for the types of cases that may be appropriate for submission. Please do not send a large volume of cases and ask your mentor to choose. A selection of 10 to 12 cases at one time would be appropriate to gain a feel for what examiners may be looking for. Sending cases over time is an effective method for evaluation. Case selection is a challenge for a mentor as there is a vast array of multidisciplinary treatment options and skill levels. If asking about a potential case, be specific. Fellowship examiners are as busy as you are so asking for feedback days before a submission deadline is not appropriate. Lastly, you are responsible for putting together your finest fifty cases. Fellowship is about a body of work so cases far out of the zone will reflect poorly on the total submission. Positive feedback from your mentor does not guarantee success.